"I had an intuitive sense that being shot is as American as apple pie. We see people being shot on TV, we read about it in the newspaper. Everybody has wondered what it's like. So I did it." 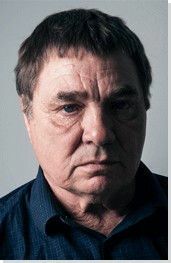 Chris Burden has produced some of the most shocking works in the history of 20th century American art, including spending five days and nights in the fetal position inside a locker, having a spectator push pins into his body, being "crucified" to a Volkswagen Beetle, being kicked down two flights of stairs, and even having himself shot. The challenge for viewers is to try to understand such troubling and seemingly "inartistic" gestures. Such an understanding is made possible by seeing these works within the context of Conceptual art during the 1970s, where artists concerned themselves with art based on ideas and action rather than objects created for an elite art market. Additionally, the violent images of the war in Vietnam and the television media in general provided a background setting for Burden. His work further challenges viewers to take stock of their own moral compasses and widen their understanding of the ways in which it is possible for art to serve humanity. 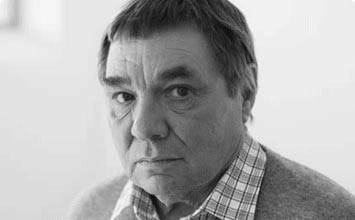 Chris Burden's seemingly outrageous performances were in fact authentically intentioned. His art explores the nature of suffering by setting up extreme situations that he, himself, has to endure. Theoretically, a viewer can interrupt the work at any point, but usually they do not; thus, his work challenges viewers themselves to act - both within the sphere of his art and within the larger context of humanity in general. The artist wanted to portray the reality of pain to the audience at a time when people had become desensitized to the plethora of television images of injured and dead American soldiers in Vietnam and the general dominance of violence in media imagery. Burden also questioned the role of art itself. Can art be more than something precious, elite, and distant? To what extent can the artist be the work of art and how far can the artist go in leading viewers to think and respond? Burden, the son of an engineer and a biologist, was born in Boston in 1946 and grew up in France and Italy. When he was 12, Burden was involved in a motorcycle accident in Italy that required his foot to be operated on without anesthesia. This traumatic event seemed to be the catalyst for his future works that focused on self-inflicted physical pain. Burden moved back to the states and finished high school in Cambridge, Massachusetts. Shoot is the piece for which Burden is infamously known. He asked a friend to shoot him with a .22 rifle from a distance of 15 feet. The bullet was originally supposed to nick the side of Burden's arm, but the shooter was slightly off target and the bullet went through the arm instead. This piece presented exactly what happens when a person is shot so that the audience could experience it in person, and not just in a detached setting such as watching the television while sitting comfortably on the couch. The viewer can only recoil in shock at realizing that an actual person was just shot in front of them. In describing the piece, Burden stated that "it was really disgusting, and there was a smoking hole in my arm." This work also poses questions about the nature of power and following orders, a theme especially indicated by the imperative of the title Shoot, itself. To what extent are we required to follow orders? What are the boundaries between rules and responsibility to fellow human beings? Burden's work was also a way of re-sensitizing people to the violence that had become less and less shocking due to its prevalence in the news. Finally, in addition to challenging the art world's traditional preference for the "fine art" of painting, for example, what Burden really seemed to be challenging was himself and his own dedication to his art. One cannot argue that someone who so consistently put himself in physical and mortal danger for his work was not completely dedicated to his art: in fact, Burden said that one of the reasons he performed Shoot was so that he would be taken seriously as an artist. The action of the poetically and ironically titled Through the Night Softly consisted of Burden slithering across broken glass in his underwear with his hands bound behind his back. This raw performance put the audience in discomfort by having to view the pain felt by Burden as shards of glass shredded the bloodied front of his body. Burden wanted it to be clear to the viewers how real pain is, and emphasized this by performing live so that the audience had to experience it in person. In contrast to the use of commercials to advertise for upcoming events, Burden purchased late night commercial spots on a local television station, running a ten-second clip of this piece so viewers would get to see it in the detached setting of their homes, thus placing the artwork on the level of our increasingly detached reception of horrific events. Trans-Fixed involved the literal transfixion of Burden to a Volkswagen via nails through the palms of his hands. After he was nailed to the car it was rolled out of a garage and displayed to an audience. The engine was revved at full throttle to represent the sound of screaming in pain. The parallels between the Crucifixion of Christ and Trans-Fixed are obvious. Here again, Burden took the audience out of their comfort zone. An image of the crucified Christ is commonplace in society and no one puts much thought into the fact that many people were crucified in Roman times and it was an agonizing and lengthy way to die. However, Burden reminded the audience of the reality of pain that we so often dismiss or do not even notice. The title of the work contributes further to the content of the piece. The fact that the title is hyphenated into two words would seem to suggest that through (trans) the work of art, society itself might somehow be fixed. Furthermore, in some sense, it is the ultimate goal of art to transfix the viewer: to render motionless, as with terror, amazement, or awe - all physical and emotional devices employed by Burden. In the end, however, the artist would like us to move beyond the state of transfixion and, instead, act. Doomed was performed at the Museum of Contemporary Art in Chicago. It consisted of Burden lying down on the floor under a five by eight inch plate of glass that leaned against the wall, while a clock recorded the duration of the performance. In this piece, the artist put his life in the hands of the audience and museum staff. He had predetermined that the piece could only end in certain ways, one of which was interference with one of the three elements of the piece - the clock, the glass, or himself. After 45 hours, one of the museum staff members interfered by placing a pitcher of water next to Burden as concerns started to arise about his health. This interference was what ended the piece. After the pitcher of water was placed down, Burden got up, smashed the clock with a hammer and walked out of the museum. There are several elements at play in this piece, such as pushing the limits of physical endurance, the passage of time, and leaving the control to the viewers as to the duration of the piece. When asked if he would have stayed there until death, Burden replied, "probably not," although at another point he said that he "was prepared to lie in this position indefinitely." Burden's work not only caused discomfort to himself, but also to his viewers who were put in the awkward position of wondering if they should intervene. The audience was left with the moral dilemma of whether they had any ethical responsibility toward Burden. Doomed also questioned whether viewers were bound to follow the traditional view of the relationship of the viewer to the artwork - the strict conventions of maintaining distance and only looking at, never "touching," the artwork. The Flying Steamroller was a performance as well as an installation piece. An actual working steamroller was attached to a pivoting metal arm with a counter weight on the other end of the arm. Every half hour someone would start the steamroller and drive it until it reached a speed that allowed the counter weight to lift the steamroller off the ground with the help of hydraulic lifts. It would then circle in the air a minute or two until it slowed down and returned to the ground. This is typical of Burden's large-scale sculptural pieces that involve movement and engineering strategies. However, the work remains true to his central idea of pushing limits as far as possible - exemplified in this piece by seeing how far engineering could affect the force of gravity by lifting the 12-ton steamroller off the ground. The Flying Steamroller also displays the artist's sense of humor as we chuckle over the comical paradox of a weighty steamroller flying. The steamroller, whose main function as a working machine is to flatten and compress material into the ground through its weight and rolling distribution, is suddenly and magically lifted as if transformed into a carnival or magic carpet ride. The title conjures up the "clunkiness" of both 19th-century steam-powered and heavier-than-air flying machines and serves to underscore the "otherworldliness" of its actual effect as it "takes to the air." Additionally, there is another layer of content implied in the second definition of the word "steamroll," that is, to overwhelm or push through, sometimes ruthlessly. It would seem that this part of the definition of the word is strikingly coincident with Burden's mission as an artist. This kinetic sculpture by Burden represents what he thinks cities will start to look like in the not-too-distant future, and was inspired by the 1927 science-fiction film Metropolis by Fritz Lang. Conveyor belts and magnets power the 1100 miniature cars. The intricacies of all the roads and bridges fitting together, the constant movement, and the ongoing noise of the cars reminds viewers of the stress of fast-paced city life and the fact that soon there will have to be major structural changes to roadways in order to compensate for an ever-growing population. Burden is again looking to the limits of engineering, but in this case as a means to solve the problem of too many cars trying to drive through a finite area at once. The artist has moved from shocking us into action to appealing to our sense of reason using the visual evidence of his art. The ultimate motive, however, remains positively oriented toward change and improvement.